He, what would you know, it’s January again (aka, wow, where did all the time go, and arggggggg I am so late on things!). 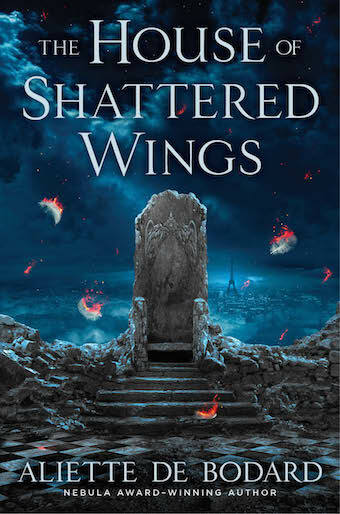 The main thing I published in 2015 was my novel (I know, kind of hard to miss :p), The House of Shattered Wings, aka magical intrigues, deadly creatures and elusive wonders in a decadent turn-of-the-century Paris ravaged by a magical war. It won a British Science Fiction Association Award for Best Novel, as well as being on the Locus Recommended Reading List for 2015. 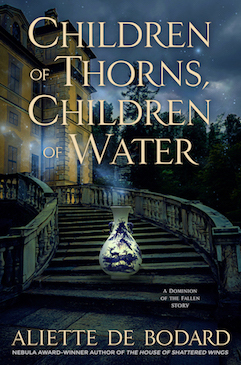 It also got starred reviews from Publishers’ Weekly and Library Journal. It’s eligible for the Hugos. I can’t provide a copy of the complete text, but I have put together a short sampler of the first three chapters: bits and pieces of this have appeared online, but this is the first time that you can actually read all of it (I think? The kindle sampler is shorter than this, ending mid-chapter two). You can download it here in EPUB, MOBI, or PDF (if you need DOC or RTF, drop me a line via the contact form, and I’ll be quite happy to provide a copy. I just am not a big fan of putting Word formats online–too easy to modify them by mistake…). If you came here wanting whole stories (which I can understand! ), I do have a Xuya short story online, “Three Cups of Grief, by Starlight”, which won a British Science Fiction Association Award for Best Short Fiction, and is at Clarkesworld (and is getting reprinted in Dozois’s Year’s Best). You can also download EPUB or MOBI. And if anyone is interested and a Hugo or Nebula voter, contact me and I’d be quite happy to email you a copy of my novella “The Citadel of Weeping Pearls”, which appeared in Asimov’s Oct/Nov and is now a tad hard to find. And now for the bulk of this, aka, the stuff that I read from 2015 and want to recommend. (this list is a slightly modified and expanded version of one I wrote for the Book Smugglers. 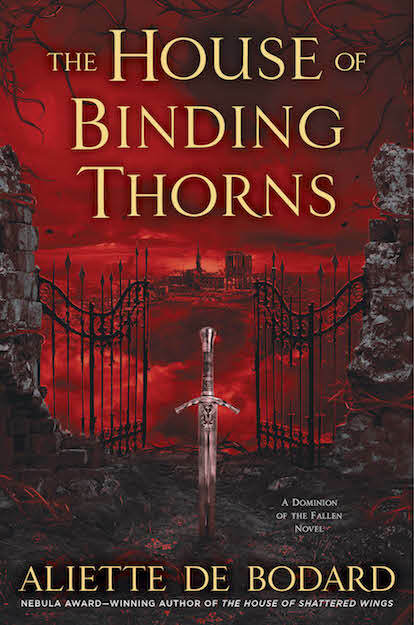 I would urge you to go read it: these recs for 2015 are more up to date, but the Book Smugglers post also has my 2016 TBR pile, and it really looks awesome. I made a slight headstart on said TBR pile thanks to friends, and so far I haven’t been disappointed!). “Variations on an Apple”, Yoon Ha Lee (Tor.com, October). It’s no secret that I love Yoon Ha Lee’s stuff, and this clever retelling of the Trojan war is no exception. Tackles mathematics, desire, and the consequences of decisions that aren’t always wisely made. Also, Illium and Helen are both awesome in different ways. “Milagroso”, Isabel Yap (Tor.com, August). In a future where food is grown in labs and always perfect, there is still room for the miracles of saints… By turns exuberant and heartbreaking, this is a story of what we take for granted, how we seek to protect our children, and the price we pay. “The Star Maiden”, Rokshani Chokshi. Tala’s grandmother used to be a star maiden, annd tells her granddaughter stories of longing for the sky. But Tala grows up and starts questioning the veracity of the story–and becomes ashamed of her grandmother’s oddness. There’s nothing really surprising in this one, but it’s very very well done (as in I broke down and cried at the end), and encapsulates the heartache of growing up. “The Monkey House”, Tade Thompson (Omenana, March). The narrator returns to work after a breakdown–and finds that everything is *almost* normal. I love the sense of creeping unease of this one, the feeling that everything looks almost quite right (and that 1% “not right” that is downright unsettling). I’m not usually much of a reader for horror or dark, but this is perfect. “If On a Winter’s Night a Traveler”, by Xia Jia (Clarkesworld, Nov). I love Xia Jia’s stuff, and this short story about a poet and her legacy–and how people handle it in the age of the internet and social media–is lovely and sharp. “City of Salt”, Arkady Martine, (Strange Horizons, March). This one has stuck around in my head since I read it: the story of a man who comes back to a deserted city, to face the woman he once knew and what she has become… Poetic and elegiac in all the best ways.